Psychology is a social science. According to Livescience.com, 31 percent of American social scientist believe in God. In 2009, the Pew Research Center indicated: "According to the poll, just over half of scientists (51%) believe in some form of deity or higher power; specifically, 33% of scientists say they believe in God, while 18% believe in a universal spirit or higher power." Social sciences are less reliable than many other scientific disciplines (see also: Medical doctors believe in God more than social scientists). From a materialist perspective, the most fundamental paradigm in psychology is the assumption that the human mind is a manifestation of the brain. This idea is in opposition to the traditional (religious) belief in the soul and hence psychology is rejected by many religions and cults, including some evangelical Christian denominations and also Scientology. Unlike fields such as physics or biology that attempt to work towards a uniting frame or theory for all hypothesis generated, psychology has traditionally focused on defining different schools of thought with substantially different unifying principles and little effort is made to unite these different schools. There is a primary division between clinical or applied psychology which focuses on helping people directly through various applications of theory and experimental or research oriented psychology which focuses on applying the scientific method to ascertain the foundations of thought and action. 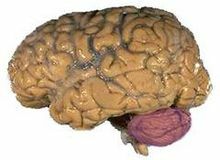 Cognitive psychology- This school of thought has a strong focus on understanding the mechanisms of mind in order to explain behavior. It often uses analogies to computers to accomplish this task, one of its great themes is the idea of the Computational Theory of Mind. Behavioral psychology- This school of thought views the mind of the organism as a black box which is impossible to describe empirically, therefore the focus is on understanding behavior as a byproduct of environment. The atheists Ivan Pavlov and B.F. Skinner epitomize this philosophy with their focus on classical conditioning and instrumental learning. Psychoanalytic psychology- This school of thought attempts to understand mind and behavior as a product of the unconscious. It is most closely linked with the ideas of the atheist Sigmund Freud and the theist Carl Jung. Freud believed that much of behavior is related to repressed sexuality, while Jung and others extended his ideas to include other forms of repression. Psychoanalytic psychology is primarily used in clinical settings though it is not unheard of for researchers to appeal to Freudian concepts. Existential psychology and Humanistic psychology- While these schools of thought differ in some fundamental ways they are often linked together because of their focus on differences and the importance of the individual over generalized rules. Existential Psychology emerges from French Existential philosophy most notably linked to Jean-Paul Sartre. It places great importance on Existential angst as an inevitability of existence, and that the role of psychology is to help individuals recognize their angst and come to terms with it. Humanistic approaches to psychology are closely linked to the ideas of the atheist Abraham Maslow and his idea of the Hierarchy of Needs. To Maslow, psychological illness is a consequence of the difference between the idealized self and the actual self, the role of the psychologist is to help the person either adjust his idealized self-image or improve his actual self. The atheist psychologist Carl Rogers' Client Centered Therapy is also closely linked to humanistic approaches. Evolutionary psychology and Biological psychology - These approaches attempt to understand mind and behavior as products of biologic interactions and evolutionary history. This school of thought is heavily researched based. Evolutionary Psychology is a relatively recent development, and many of its proponents believe that a strongly biologic approach to psychology may ultimately serve as a unifying principle for the field of psychology. Sigmund Freud and his psychodynamics had an enormous influence on psychology which continues to this day, e.g., the concept of an unconscious mind being able to change and direct behavior. The atheist Ivan Pavlov's work on classical conditioning was pivotal. It became combined with the concepts developed in functionalism and the field of behavioral psychology was born (see B.F. Skinner), and it was hoped that psychology could became a hard science like physics with mathematical rigor. The atheist B.F. Skinner also thought that all of human behavior was a function of conditioning and instrumental learning. During the 1960s several developments altered the course of psychological research. Several experiments had begin turning up anomalous results. One of the most famous is the Garcia effect where an animal that is exposed to a novel food and then made sick instantly learns to no longer desire that food. The atheist Noam Chomsky showed that language acquisition follows seemingly innate rules. Thus cognitive psychology was born as a reaction against behaviorism. Cognitive psychologist attempted to understand the "black box" of the mind through computational analysis, modeling and rigorous experimentation. Psychology has continued to divorce itself from the strict empiricism of behaviouralism through the general endorsement of neuropsychological research. Neuropsychological research, typically conducted with fMRI scans, is not without controversy with prominent psychologists claiming that the interpretation of the data far outstrips its explanatory power. A similar complaint is often levelled against evolutionary psychology by prominent biologists who note that most evolutionary interpretations of psychological phenomena are necessarily post hoc and consequently untestable. It seems noteworthy that as psychology continues to grow and mature as a discipline it becomes increasingly mired in controversy. ↑ 3.0 3.1 McGrath, Alister (February 28, 2005). "The twilight of atheism". Christianity Today website. Retrieved on May 23, 2015.